Welcome to Surface Protection International. 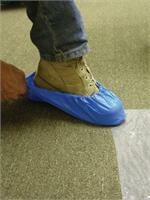 Surface Protection International offers top of the line non slip shoe covers and boot covers at great low prices. Surface Protection International's line of shoe covers and boot covers are great for remodelors, builders, and contractors. 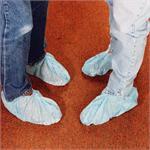 Our easy slip on shoe and boot cover comes in a universal size to fit any size shoe or boot. Great inexpensive surface protection product . Boot covers and shoe covers designed with non-slip bottoms to protect floors during construction, building, remodeling, and in home contractor work.